We have so many important things stored on our iPhone/iPad that we don’t want to be erased by any cause. It is really important to keep them safe in one place, but where? Well, we have an answer to this! 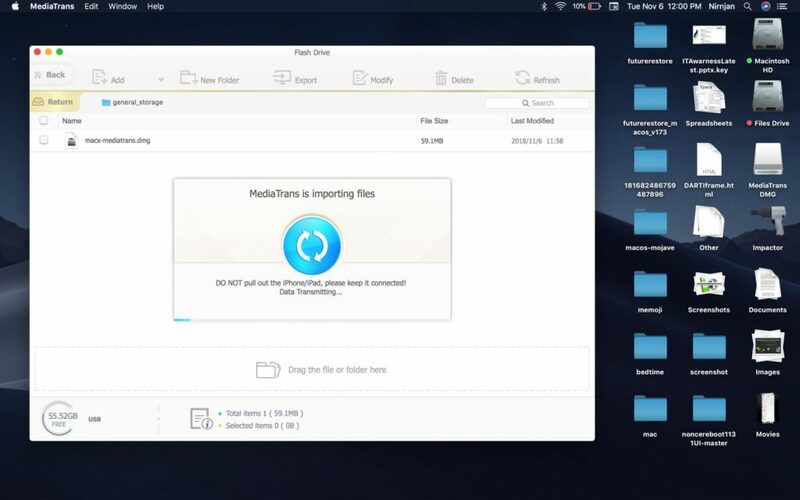 MacX MediaTrans is a complete solution for iPhone, iPad and the best iTunes alternative for Mac (available for Windows also) that will make it easier to transfer photos, video, ringtone from iPhone to PC or PC to iPhone in the easiest way. Whether you are a professional or has just started using iTunes, you should definitely try MacX MediaTrans and you will never get back to the iTunes again. MacX MediaTrans is the best alternative to iTunes that lets you move music, videos, photos etc from Mac to iPhone and vice versa. It is super-fast than using iTunes. The MacX MediaTrans software layout is very simple but offers powerful features that you won’t find on iTunes. 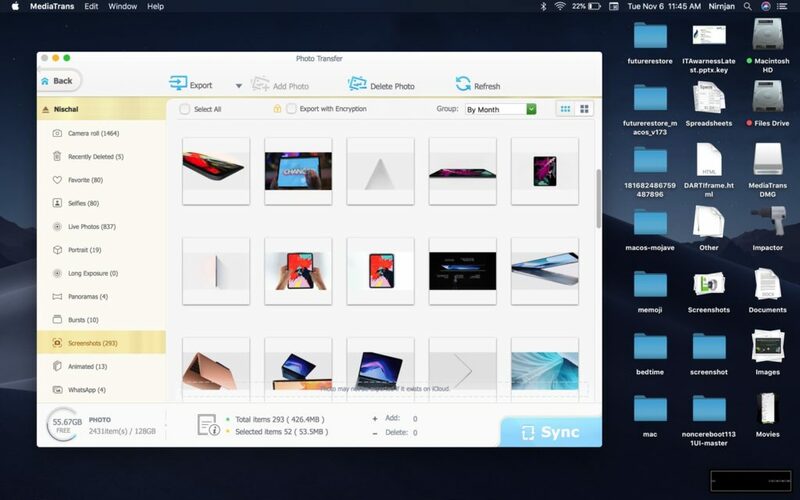 The first feature on MacX MediaTrans is Photo Transfer. This feature helps to transfers photos from iPhone to Mac and vice-versa within a seconds. And another good thing about MacX MediaTrans is, it organizes your photos just like in iPhone and iPad which helps to find photos even quicker. 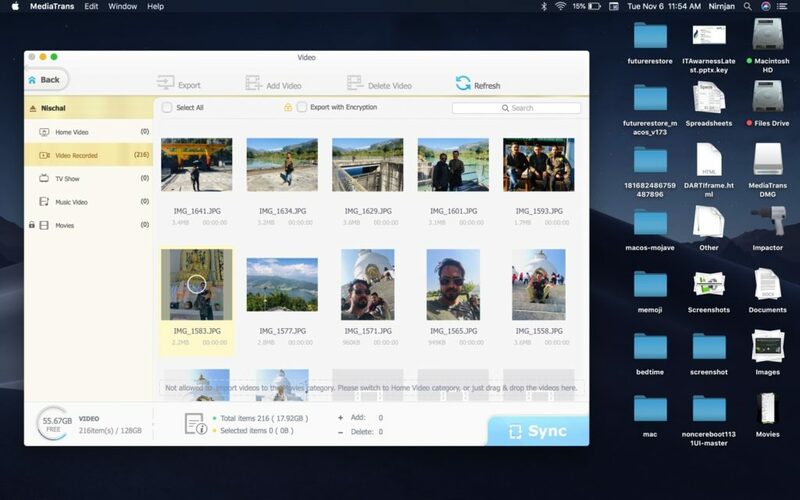 When you click on a Photo Transfer feature in MacX MediaTrans, you will see photos organized in various categories like Selfies, Panoramas, Bursts, Screenshots and so on. Just select all photos or select individual photos and hit Export, all of your photos will be transferred to Mac Library. Another feature you will love on MacX MediaTrans is Music Manager. Music Manager is away better than using iTunes because not only you can import songs from your Mac to iPhone/iPad but also can transfer all the songs that are present on iPhone and iPad to Mac as well. 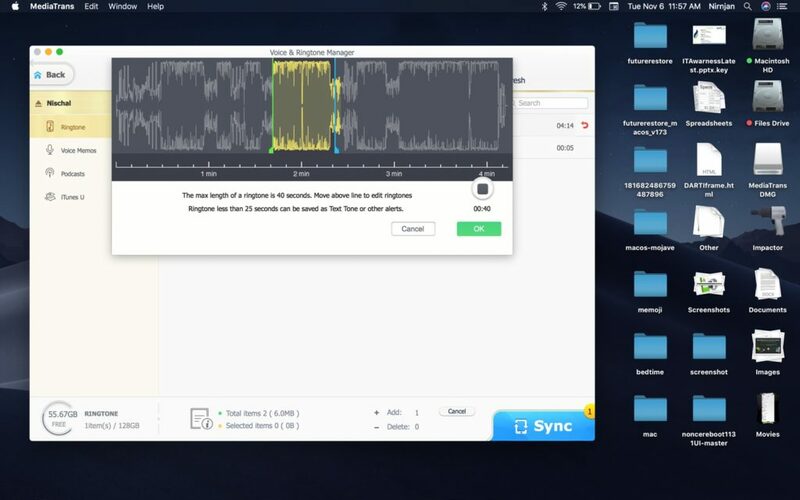 For example, your friend has a great list of beautiful songs on their iOS device and you want them on your Mac, MacX MediaTrans will come to handy in this case. It can even export songs from iPhone to Mac which iTunes don’t. MacX MediaTrans can even convert any audio file format to MP3/AAC file format. Same is the case for Video Manager. Video Manager on MacX MediaTrans can import and export videos from iPhone to PC and vice-versa in the easiest way. And the best part is it can detect unsupported video file format and then automatically convert it to .mp4 to make it playable on iOS devices. Also making ringtone on MacX MediaTrans is the most the easiest thing you will ever find on any other software. You can also make ringtones using iTunes but many users find it difficult to figure out as it requires a various process to deal with. But with MacX MediaTrans, you can create a ringtone for iPhone with just 3 steps. Just go to Ringtone section – Select a song – Mark up the section where you want the song to be played and done! It’s that easy. MacX MediaTrans also breaks the DRM chain that means you can transfer all your M4V/M4P/M4A files downloaded from iTunes Store to your computer and play it on any devices later. This feature is exclusively available only on this iTunes alternative for Mac. And the very last and one of my favorite feature from MacX MediaTrans is Flash Drive. Yes, you are getting it right! Flash Drive feature on MacX MediaTrans works just like a charm. You can use your iPhone/iPad or any iOS devices as a Flash Storage where you can store any kind of file and then access it on PC. This is a really nice and must have the feature on an iOS device which iTunes does not offer but thanks to MacX MediaTrans to make it finally happen. You can get all these stuff in One Software and is very easy to use than using iTunes. So if you are a Mac user and using iPhone or iPad, I would personally recommend using MacX MediaTrans. 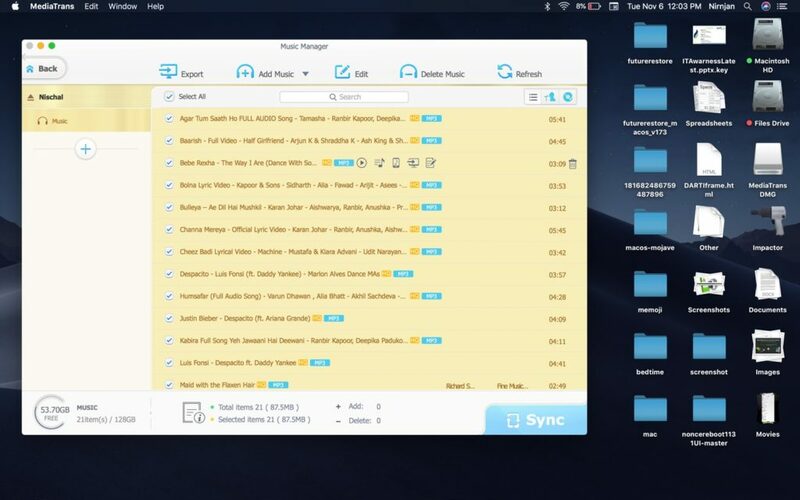 This powerful software and the best iTunes alternative for Mac & Windows is available for free to download. However, if you would like to purchase a premium version then you can get it for $29.95 for 1 computer or be lucky to get it for free by entering the giveaway contest that will be announced on November 15.